The Bodyfullmind method has been created for the treatment of panic attack disorders (PAD), as well as for anxiety disorders and for prevention and management of stress. The technique is characterized by an integration of different treatment approaches, which are adapted to the treatment context. These approaches permit – starting from the body – to deal with the symptomatic emergency of acute anxiety, as well as with the more disabling emergency of panic attacks. In this brief article I’m going to provide a short description of the underlying processes. This technique takes advantage of breathing exercises, bio-energetic and relaxation exercises, in addition to visualization techniques and meditation exercises. Furthermore, the technique includes verbal psychotherapeutic techniques, in individual or group sessions which are progressively implemented, combining the previously mentioned approaches. The individual or group analytical approach is used to define and elaborate the emotional contents that the physical approach tends to bring out. The individual represses his emotions through his breath because, by the contraction of breath – mostly induced by anxiety –, he involuntarily and automatically contracts several muscles of his body and consequently the normal flow rate is obstructed. These involuntary tensions, if accumulated because of “unexpressed” emotions, create chronic disorders – that I already mentioned in my previous articoles – called psychosomatic disorders, such as gastritis, colitis, headache, etc. They also cause pain and disorders in different parts of the body, using a somatic and psychic dimension that facilitates the anxiety and panic disorders. The adoption of bodily techniques allows the treatment of Panic Attack Disorder also in patients so-called alexithymics, term which indicates their difficulty in accessing to their own emotional experiences. The alexithymy can develop as an answer to external traumas and aims to protect the patient against contact with extremely painful emotions. We have observed that the alexithymic state, in some patients suffering from PAD, is a consequence of a severe and prolonged personal stress that, once treated and disappeared, it makes the alexithymic state disappear too. By the initial work on the body, we are able to deal with the somatic dysfunctional problems that facilitate the appearance of panic and anxiety. As is often the case, by working on breathing during the first sessions, the patient comes into contact with his muscular tensions which gradually permit him to be aware of his own often old tensions, emotional blocks and removed emotions, as well as of sufferings, sometimes rationally overcome but not yet integrated and disappeared. This makes the access to the areas previously avoided, possible. Moreover, coming into contact with our own body facilitates the connection with our own interior world and this lets us learn to be in relationship with ourselves. That is the first step to defeat the emotional ghosts who live in our inner reality and from who we often run away because of fear. The use of methods based on verbal psychotherapy, together with the body approach, can later allow the important elaboration of the disturbing and conflicted emotional experiences that necessarily tend to emerge, on the level of consciousness, when our “corporal armor” is weaker. 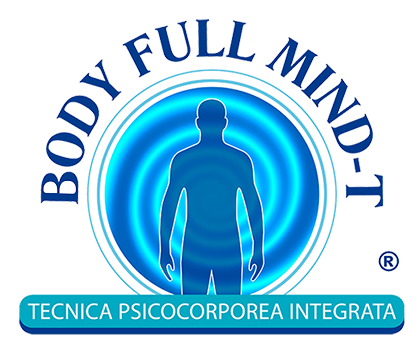 In conclusion, the application of the Bodyfullmind-t method showed, in most cases, the remission of the Panic Attack Disorder and, in other cases, the significant decrease of frequency and intensity of the panic attack.